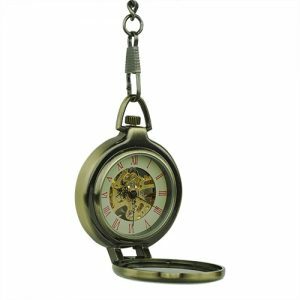 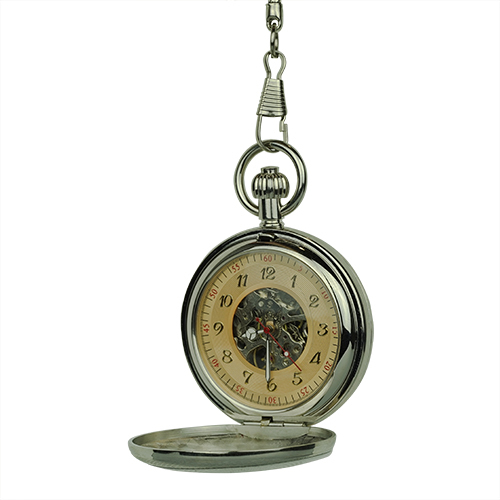 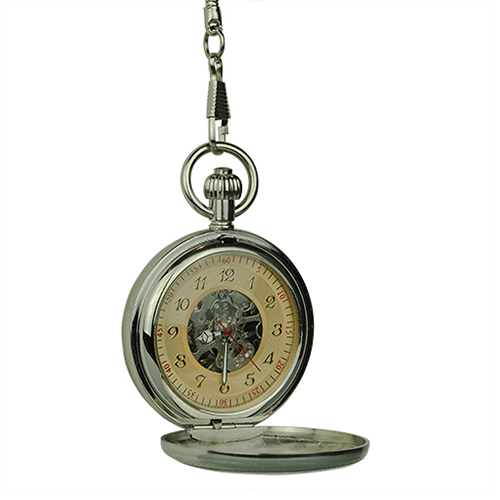 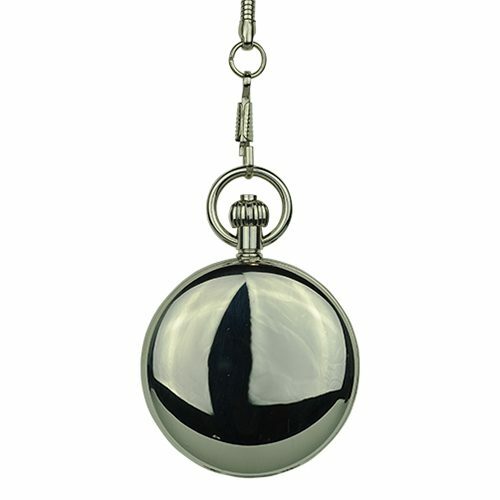 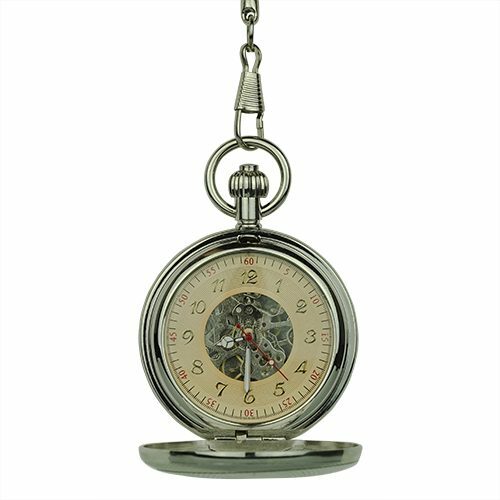 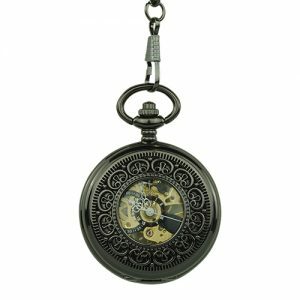 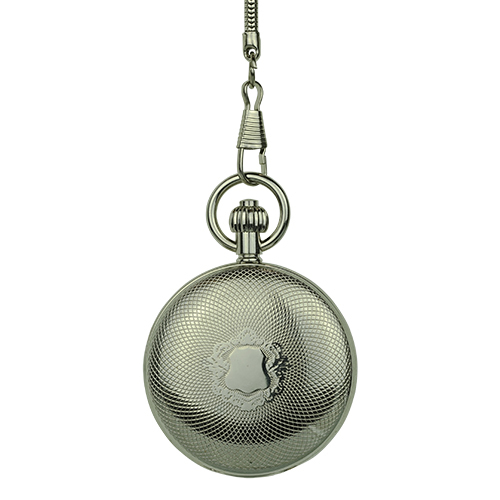 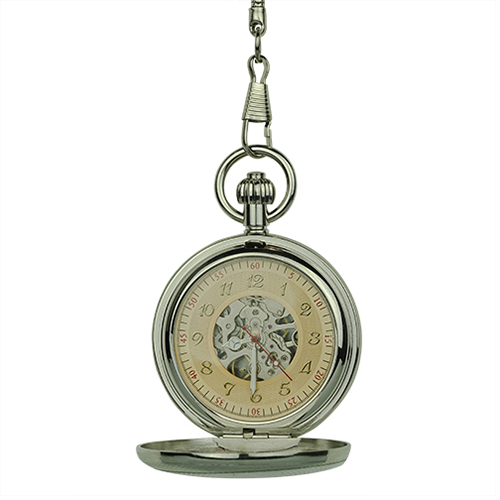 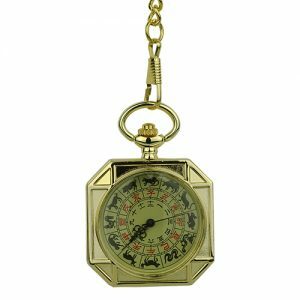 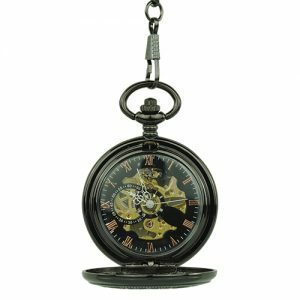 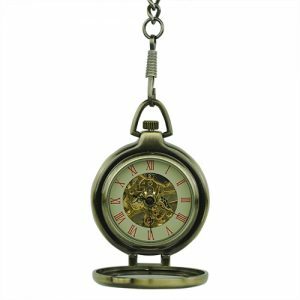 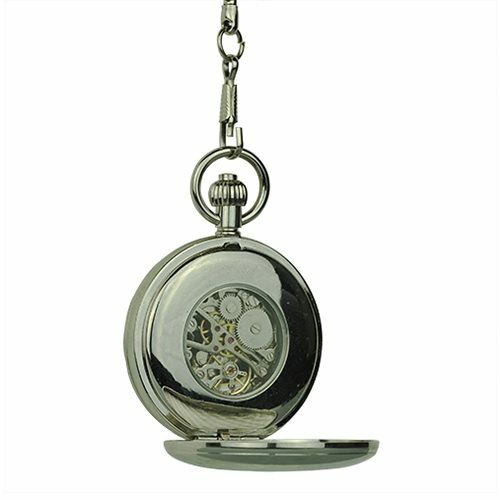 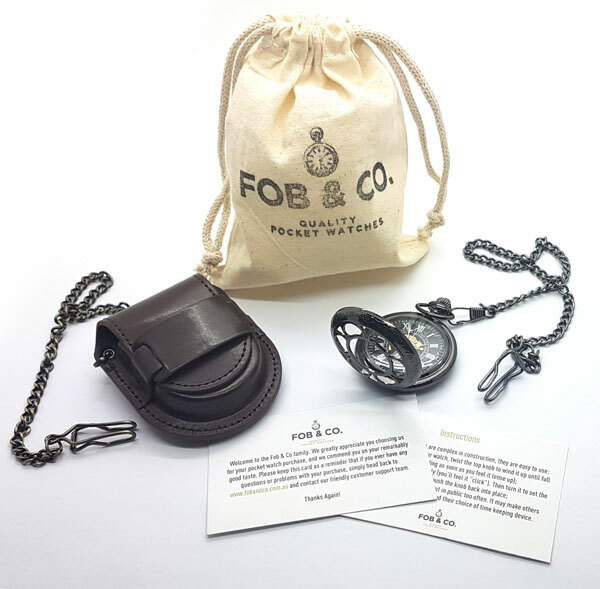 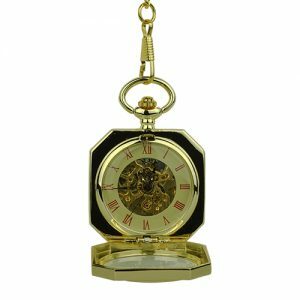 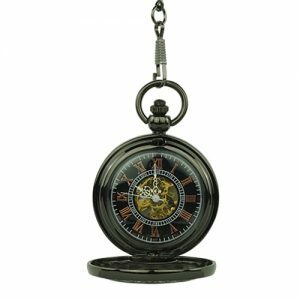 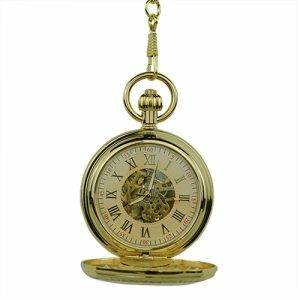 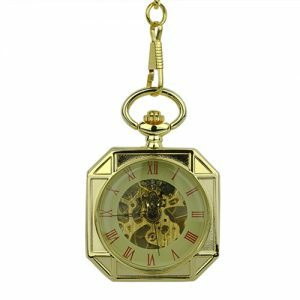 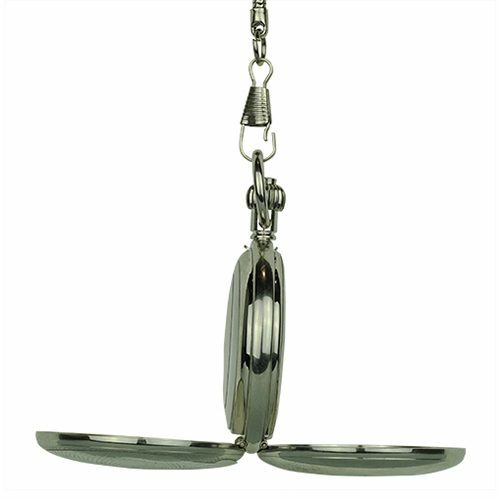 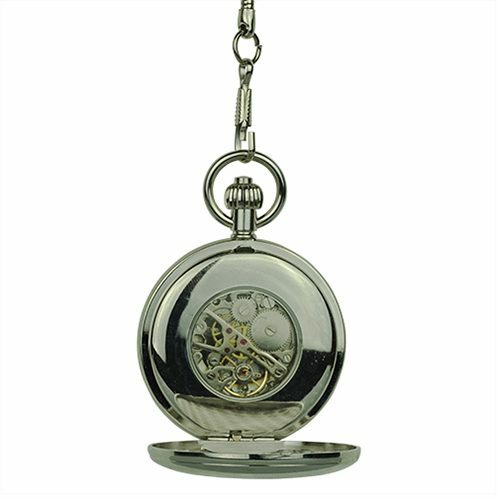 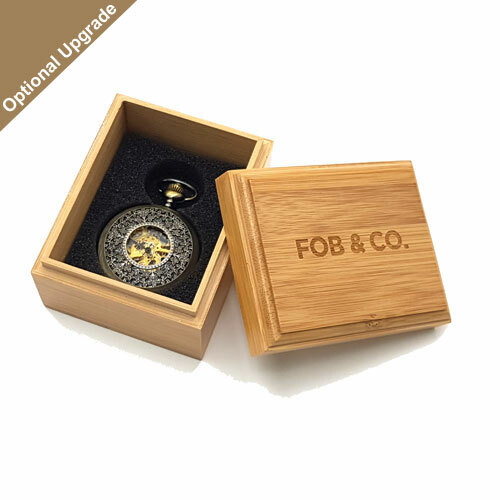 Double Sided Silver Tone Hunter Fob Watch - Fob & Co.
Tell the time beautifully with a handsome, double hunter pocket watch that features a silver finished front frame decorated with overlapping sphere patterns! 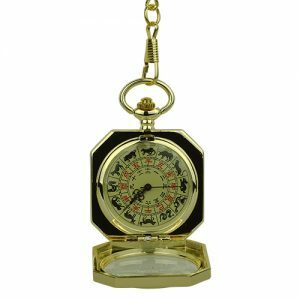 Inside you will enjoy a display of gold Arabic numerals on a gold background that is highlighted by a silver skeleton. 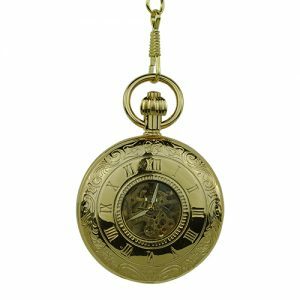 The back frame is designed with Victorian shields and patterns while inside there is a window to view more of the gleaming inner works.